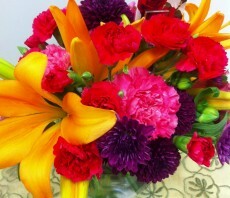 This arrangement offers your special recipient fresh vibrant color to brighten their day! 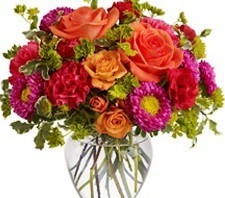 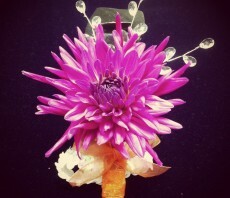 Orange Asiatic Lilies, fuchsia carnations, red mini carnations, lavender chrysanthemums and lush greens are perfectly arranged in a clear glass bubble bowl vase. 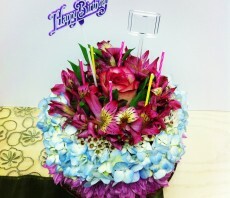 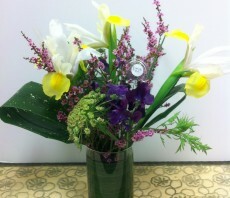 A beautiful, fresh arrangement of spring flowers in a clear cylinder vase lined with a green leaf.